Throughout the month of May, enjoy lodging packages, tasting room specials, chef events, winemaker dinners, education and more. Visit Traverse City Uncorked‘s website for further information. As our vineyards awaken to the sun and warmth of May, toast to the enchanting beauty of spring, indulge your senses and discover delicious Leelanau Wines splendidly paired with scrumptious small bites! This beloved springtime event includes a self-guided tour along the trail, where you’re free to visit any of the 24 participating wineries in any order you choose on both Saturday (11-6) and Sunday (12-5). Tickets are limited and typically sell out, so get yours TODAY! Tickets are $40 and include a souvenir wine glass, along with a featured wine and food pairing at each winery. After your featured pairing, most wineries offer an additional complimentary 2 to 3 tastes. Purchase your tickets by selecting a Starting Winery where you will check-in to the event and pick up your supplies before charting your own course to participating wineries in any order you choose. Tickets are good for both Saturday and Sunday. A $5 donation for every ticket sold goes to the Bruce Simpson Winemakers Scholarship to help students in their quest for a career in viticulture or enology in Northern Michigan. Don’t want to drive? Find a willing friend and purchase an additional designated driver ticket for just $20. Your driver can still enjoy the food pairings while he/she takes you from winery to winery. You can also take your food & wine tour via bus or limo by contacting one of our transportation partners. We encourage you to contact them PRIOR to purchasing your tickets and a starting point. Find transportation packages that include your tickets or visit our transportation page for a complete list of our preferred partners. The first Saturday in May will be here soon. 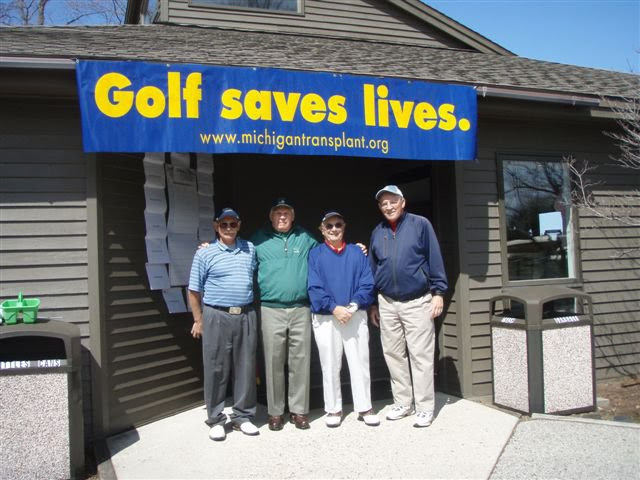 This is our 25th year in support of the University of Michigan Hospital and Gift of Life of Michigan. Please join us May 5, 2018 at Champion Hill Golf Club. Tee time available with payment of $180 per foursome. Tee times confirmed with your payment to “Northern Michigan Transplant”. If you have questions, please call Jim at 231-882-6340 or Champion Hill at 231-882-9200. Below are the latest postings from the Champion Hill Golf Course Page On Facebook. What cold rainy weather? Worked in yard and went fishing! Gator Trace was open Saturday for my HIO. Witnesses consumed huge guantites of fermented beverages. Hold that ice for two more weeks. Champion Hill will open on Saturday, April 6th. Only 15 holes will be open due to stubborn snow. Carts will be available. A pleasant 78 at Island Pines today. See you in May. Where is champion hill ? Champion Hill Golf Course shared a post. Getting tired of the cold weather here in Michigan? Start thinking SPRING. Enter our annual "Ice Off" Contest for a chance to win free golf for a twosome. Guess the date of the first day that we can no longer see any ice on Crystal Lake from Pinecroft’s deck and have a chance to win 18 holes with cart for a twosome. To enter, post your guess on Pinecroft’s wall by midnight on Thursday, February, 28th. One guess per person. All correct guesses win. The winners will be announced on Pinecroft’s wall. Mark Disbrow was the 2018 "Ice Off" contest winner with his guess of May 1st. Maybe we could end the contest a little earlier this year. I will have to give that some thought. It will likely be sometime between Ton Kunitzers guess and the actual ice off date. 7-10 pm Live music from Jack Pine, Pig Roast & FISH BOIL! Registration for the runs starts at 9 am at Empire Public Beach. Entry fee for walkers and kids 17 and younger is $25, includes a t-shirt. Runners enjoy free entry to the festival with run number PLUS a free drink ticket & customized tech shirt, $40. Cash Prizes! $100 for the people’s choice winner and $50 for the second prize. Check out the plans for the Glen Lake Library expansion! Below are the latest postings from the Empire Asparagus Festival Page On Facebook. Empire Asparagus Festival updated their profile picture. Empire Asparagus Festival updated their cover photo. Let’s go Cana, Kimberly,Cristy, & Elly! Went to this in 2017 and loved the festival!!!! Love the poster. We are going to a wedding that weekend ☹️ sorry to miss it. I just hope they have some of that delicious RightBrain asparagus beer ! That stuff rules ! The west coast of Michigan has the best asparagus grown anywhere. Will the snow be gone by then? Best way to start summer! Probably not Debra Donaldson Dams. Chad lets go this year. Play 36 holes of golf in a Ryder Cup format! The entire field of individual players and pairs will be divided into two teams, with their own team shirts and hats, for two days of friendly competition featuring proximity prizes and awards for the winner of the Crystal Cup. Scoring will be adjusted based on handicap. 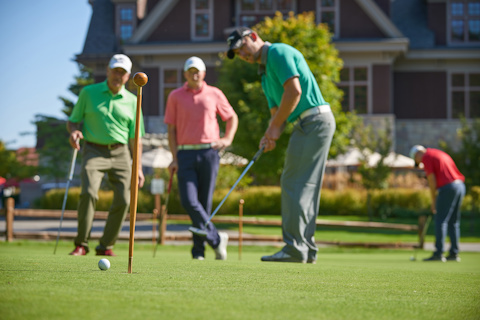 Saturday, May 26: Four-ball match (best ball from each pair) on the Betsie Valley course beginning at 8 am. Sunday, May 27: Singles matches on the Mountain Ridge course beginning at 8:30 am. Saturday, May 26 from 4-8pm: Michigan Beer & Brat Festival. Crystal Cup participants receive admission. Sunday, May 27: Awards Reception at Kinlochen Plaza will immediately follow the end of play on Sunday. Registration closes May 1st. For more information, call (855) 972-9725 ext. 4000. Below are the latest postings from Crystal Mountain On Facebook. Kick off summer with a running start at Crystal Mountain’s 5th Annual Half Marathon, 10k, and 5k race! The North Mitten Half Marathon, 10k and 5k is a combination of paved roads, dirt roads and trails. The North Mitten route consists of primarily flat, open trails on Crystal Mountain property and will not climb the mountain. Both races will start and finish at the white slopeside tent near the Crystal Clipper chairlift. This is a great spring race for beginners and experienced runners! Registration – Opens January 1, 2018. Runners must register online. Entry fee is non-refundable. For more information call the Park at Water’s Edge, 888.968.7686, ext. 7000. For more information contact the Park at Water’s Edge at 888.968.7686, ext. 7000. Registration space is limited. Endurance Evolution will provide chipped timing for runners. Racers are highly encouraged to pick up their packets on Saturday, May 26. During packet pick up, Crystal Mountain will be hosting the 13th Annual Michigan Beer and Brat Festival. Stay and enjoy the music! Half Marathon, 10k, 5k: Top overall male and female win a River Kayak, plus entry into next year’s race. Top three racers in each category win a prize pack. An award ceremony will be held at the Start/Finish Tent at 10:30am. Race results will be posted and updated at the Start/Finish Tent. Plus all entrants will be entered to win prizes including a resort stay! Volunteers are needed for aid stations, course marshal, registration, start/finish line and course sweeps. All volunteers receive lunch, a tee shirt and one beverage at Micros at MountainTop. Anyone interested in volunteering is asked to contact Janice Davidson at 231.378.2000 ext. 7102 or janicedavidson@crystalmountain.com .